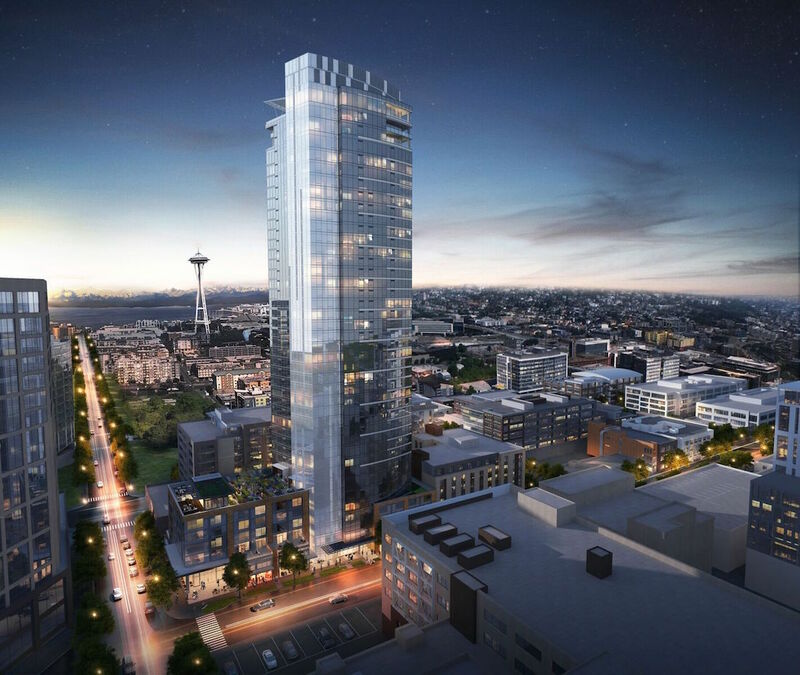 970 Denny will be Seattle’s premier luxury high-rise apartment building with 462 units and 14,600 SF of retail space at the epicenter of the South Lake Union neighborhood. The site is a short walk or streetcar ride away from downtown Seattle and sits amidst Amazon’s growing SLU headquarters campus. The tower will reach 440 feet in height and provide sweeping views of Lake Union, the Space Needle, Elliot Bay, and the downtown skyline. Completion is scheduled for 2018.